— From Olivier Tallec’s Who Done It? Today over at Kirkus, I write about two new picture books about the 50th anniversary of the historic Voting Rights Acts of 1965. That link is here. 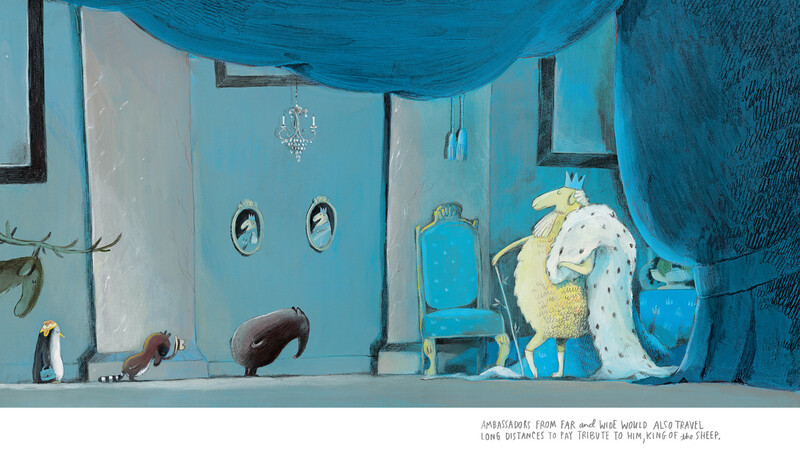 Today here at 7-Imp, I have some art from the three French imports I wrote about last week (here): Mr. Postmouse’s Rounds (Kids Can Press, August 2015), written and illustrated by Marianne Dubuc, as well as Louis I: King of the Sheep (Enchanted Lion, September 2015) and Who Done It? 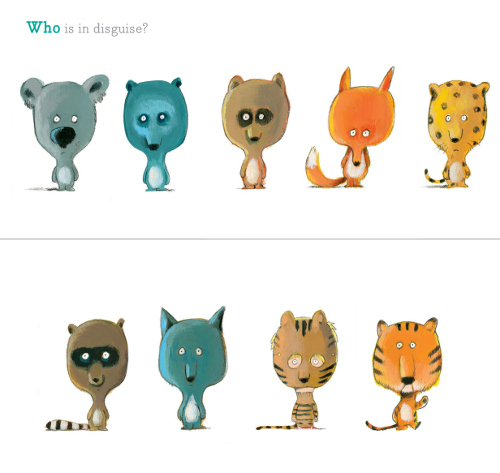 (Chronicle, October 2015), each written and illustrated by Olivier Tallec. Today, author-illustrator Abby Hanlon shares some final art and early sketches from Dory and the Real True Friend (Dial, July 2015), which she and I talked about last week here at Kirkus. 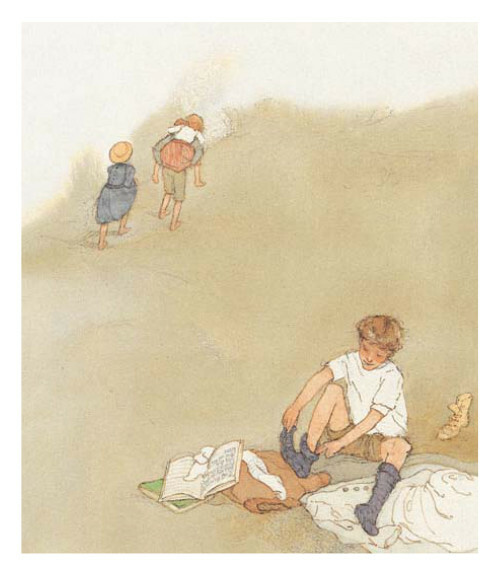 the children used to go and play in the Giant’s garden. Because Lisbeth Zwerger has always been one of my favorite illustrators, including one of the artists who made me want to study children’s literature, and because seeing her artwork improves the very quality of my day (and yours, I hope), I have a bit of art today from Oscar Wilde’s The Selfish Giant, as illustrated by Zwerger. Zwerger originally illustrated this story back in 1984, but Minedition has released a new edition (April of this year). In fact, it’s called a “mini-Minedition,” because the book has a tiny trim size. 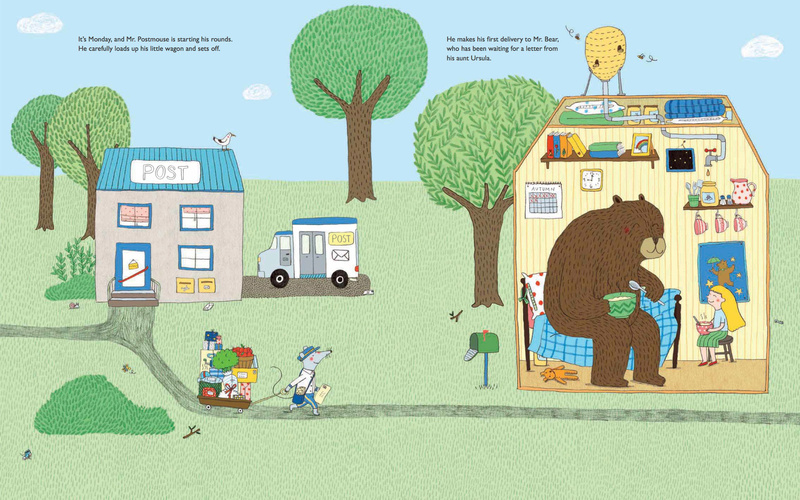 Today I’ve got some illustrations from Beatrice Alemagna’s The Wonderful Fluffy Little Squishy. Originally published in France last year, it’s coming to American shelves in September from Enchanted Lion Books. It’s best for young children to live an orderly life. Especially if they order it themselves. 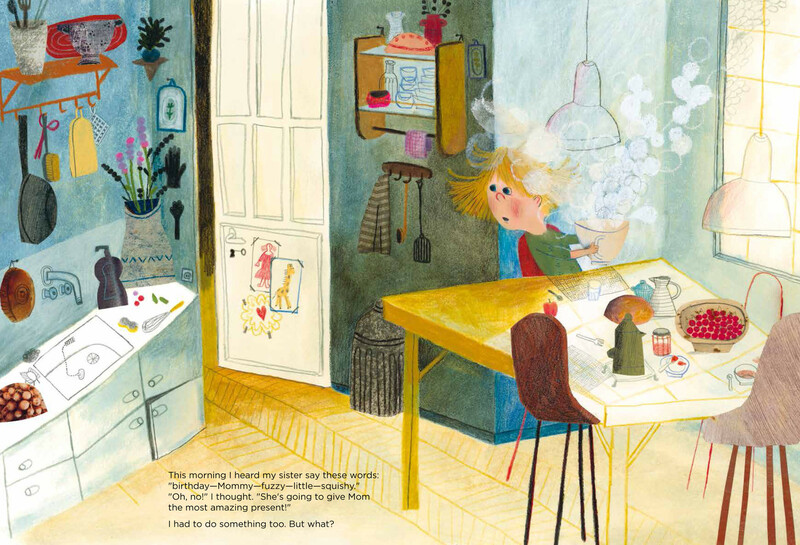 I love this, and it’s the perfect fit for this story, in which a five-and-a-half-year-old girl named Edith (but her friends call her Eddie) sets out to find a fuzzy little squishy. 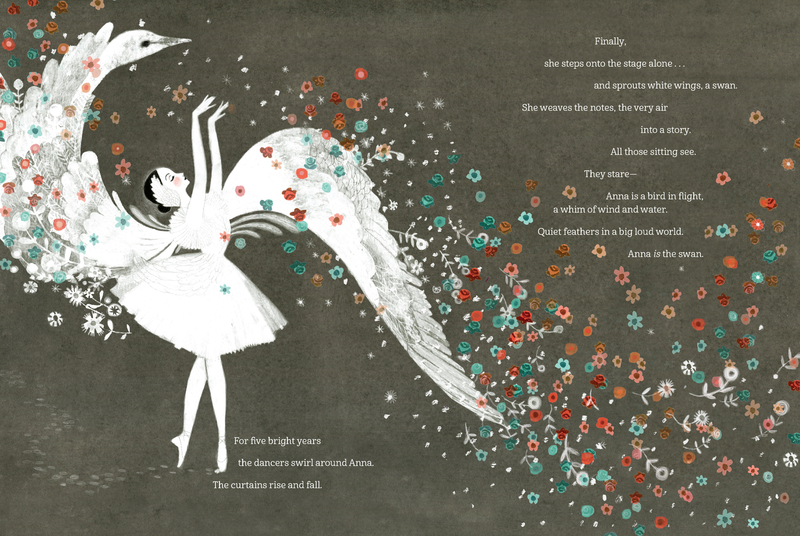 “…Finally, she steps onto the stage alone … and sprouts white wings, a swan. She weaves the notes, the very air into a story. All those sitting see. They stare—Anna is a bird in flight, a whim of wind and water. This morning over at Kirkus, I’ve got some French picture book imports. That link is here. 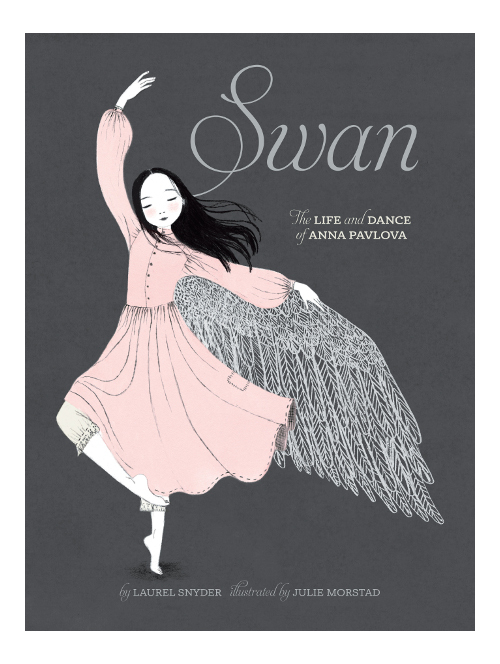 Last week, I wrote here about Laurel Snyder’s Swan: The Life and Dance of Anna Pavlova, illustrated by Julie Morstad (Chronicle), coming to shelves in August 2015. Today, I’ve got some spreads from it. 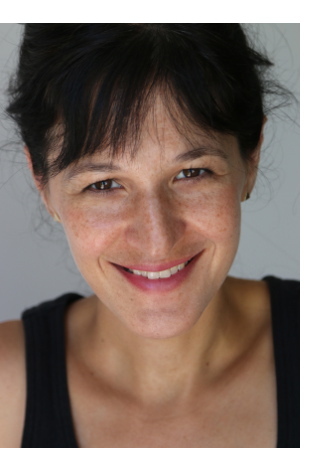 Over at Kirkus today, I talk to author-illustrator Abby Hanlon, pictured here, about her newest book, Dory and the Real True Friend (Dial, July 2015), which sees the return of one of my favorite characters. (Dory, of course.) That link is here. 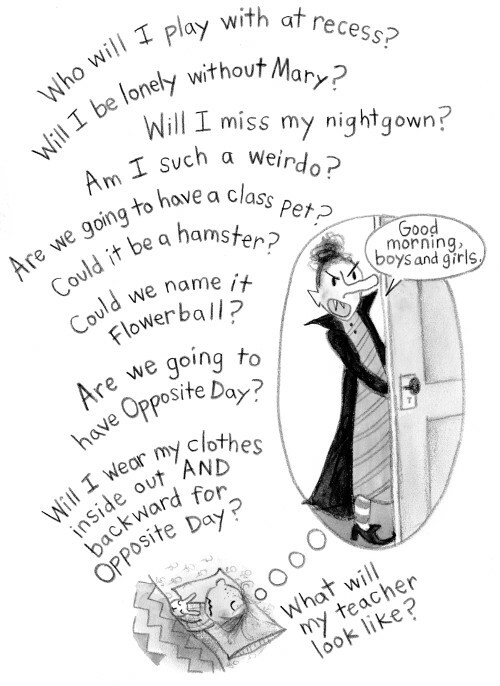 Last October (here), Abby and I talked about the first book, Dory Fantasmagory. It’s an art-filled post, my favorite kind of post. Both of these books are the kind of funny that makes your sides hurt from all the laughing. 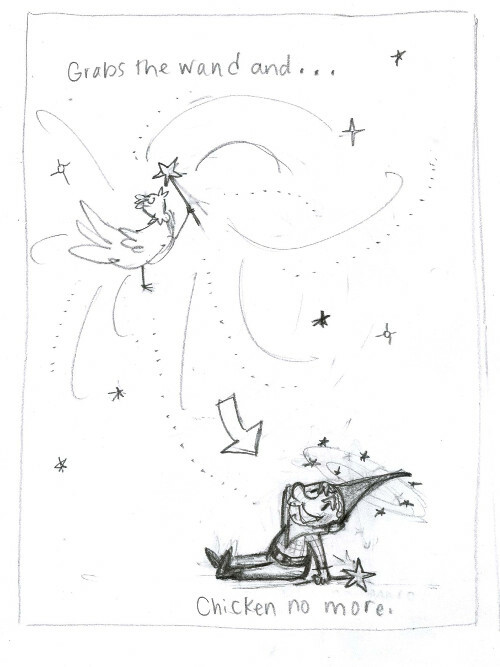 Next week, I’ll have some art from the new book, as well as some early sketches. Photo of Abby taken by Sophie Elbrick and used by her permission. Good morning, fellow imps. 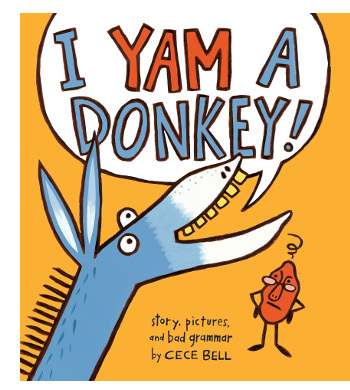 I’m highlighting a bit of artwork today from award-winning author-illustrator Cece Bell’s newest picture book, I Yam a Donkey!, published by Clarion Books in June. There are several things I like about this book (whose story starts on the title page itself)—its humor, its memorable two main characters, its irreverence—but my favorite thing is that it is inherently subversive, if you consider the existence of prescriptive linguistics, which is concerned about the rules governing what people should or shouldn’t say (rather, how they say it). Descriptive linguistics is concerned with how language is used, instead of telling people how to use language properly. Prescriptive linguists would shake their fist at this entertaining story, complete with a tongue-in-cheek moral, and that is part of its beauty. 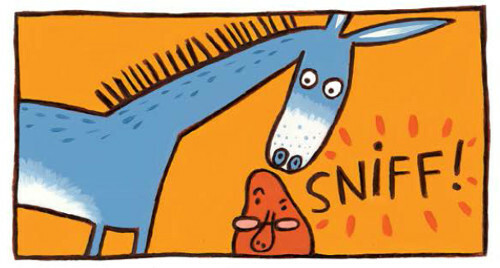 Or, as the Publishers Weekly review notes, “pedants who can’t adapt will be left in the dust.” And that’s because it’s all about a donkey who has a particular way of talking, though the stubborn and opinionated grammarian yam he meets keeps telling him he’s talking incorrectly. Or, as the vegetables watching it all go down (well, most of it) put it, it’s a “big fight about grammar.” The ending is delicious in more ways than one, but I’ll let you discover that for yourself. 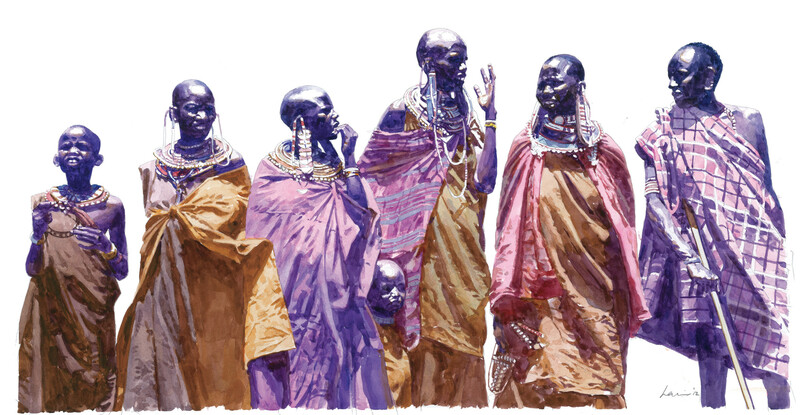 I was just about to tell you all about Cece’s art for the book, rendered in china marker and acrylics, but you can see for yourself below. 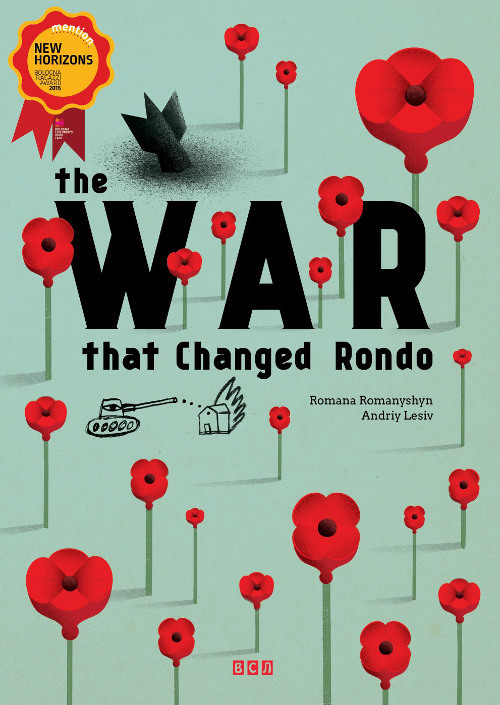 Over at Kirkus today, I write about this new picture book biography from Laurel Snyder and illustrated by Julie Morstad. That link is here. I’ll have some spreads from it here at 7-Imp next week. Last week at Kirkus, I chatted with Betsy and Ted Lewin about their new book, How to Babysit a Leopard: And Other True Stories from Our Travels Across Six Continents (Neal Porter/Roaring Brook, June 2015). That Q&A is here. Today, I follow up with a bit of artwork from the book.